Fruity extra-virgin olive oil, of the Bosana variety, the most widespread cultivar in Sardinia. It is characterized by its robustness and accentuated bitterness, characteristics due to the high concentration of polyphenols and active ingredients. Decisive and spicy. 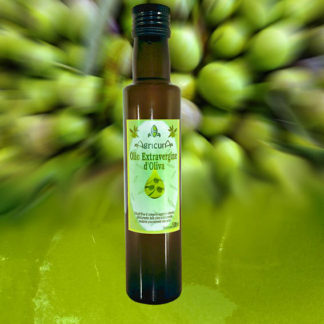 A superb oil, excellent for enriching structured dishes and salads. 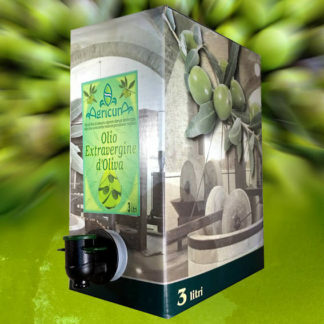 Cold-pressed from freshly picked olives on the slopes of Mount Linas in Gonnosfanadiga. Vacuum packed with practical tap for a quality over the time. The oil in this particular package does not deteriorate because it does not contact oxygen even after opening. The tap allows you to take the amount you need directly from the package without having to resort to inconvenient racking.